May 13, 2016, 12:50 p.m. 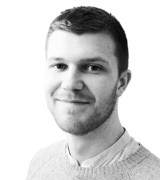 Even including the second highest level of masculinity, there&apos;s a 56% gap between male 18-24s (18% at level 0 or 1) and over 65s (74%), and a 28% gap between 25-49s (46%) and over 65s. 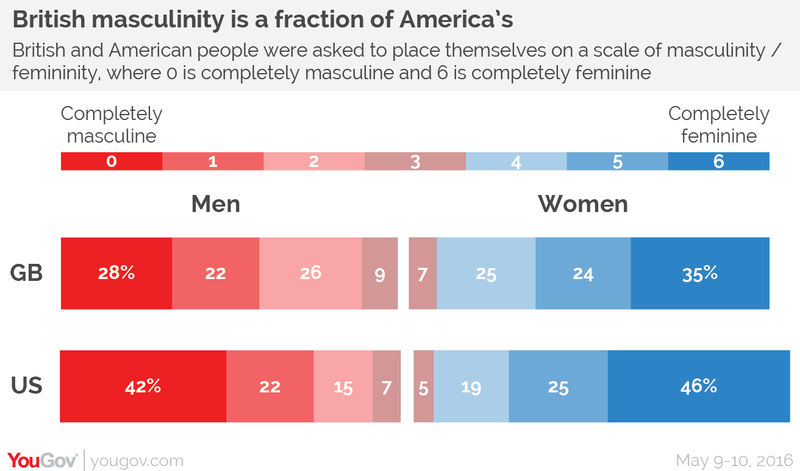 American men are much more likely to think of themselves as exclusively masculine. Overall 42% of American men say they are completely masculine, compared to 28% of British men. 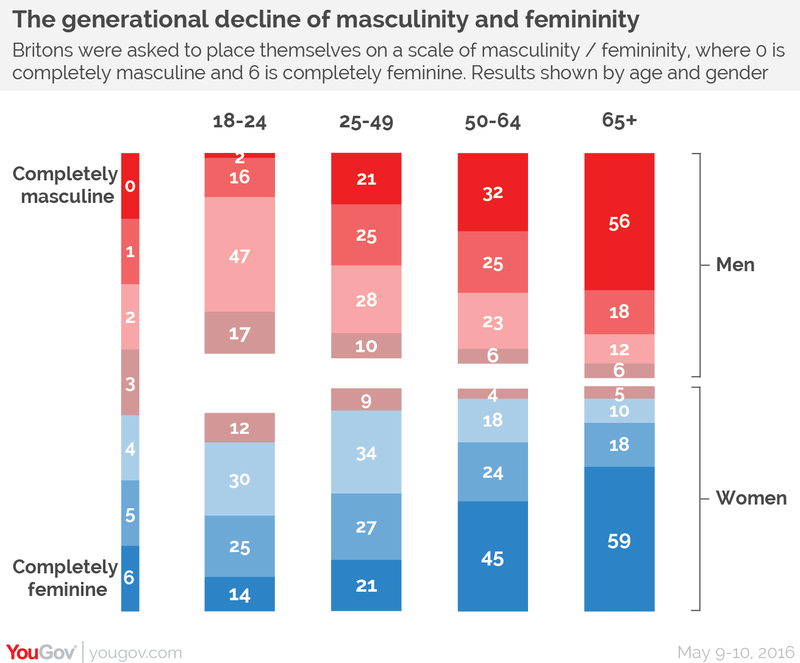 Both young men and young women have a lower opinion of &apos;masculinity&apos; than older people, but young men are harsher critics of the concept than young women. In contrast, the majority of young men (58%) have a positive impression of &apos;femininity&apos;, as do the majority of young women (55%). Overall &apos;femininity&apos; has a net positivity score of +56 compared to +44 for &apos;masculinity&apos;. What does &apos;masculinity&apos; mean? Perhaps contrary to expectations, our research finds little correlation between identifying as more masculine and finding it harder to talk to friends or family about personal problems. Men in general (44%), and particularly young men (36%), are less likely to say they find it easy to talk to friends about issues than women (53%), however. And men at the top two levels of masculinity are more likely (64%) to have had a physical fight than men who place themselves elsewhere on the scale (56%).